Full Description: SOLD - Set atop the range of hills separating the Alentejo and the Algarve, this typical Portuguese windmill has amazing 360 degree panoramic views over the 'Serra'. Unusually large plot for this type of property (4 acres). 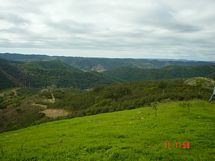 Close to the village cafÃ© and main road to Almodovar, the location gives good access to both the Algarve and Alentejo. Water and electricity close by. 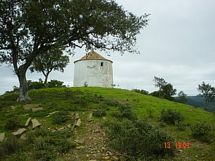 Further details on www.portuguese-windmill.weebly.com. This listing has been viewed 18903 times.